Emerging technologies refer to those energy technologies that are either under development or that have only been implemented in a few locations or on small scales. These are the other technologies that we don't cover in detail on this website because they are either not good enough to be out there or because they can only work in a few places or on small scales. Some of these technologies may be the best solution for only certain locations, or they may just not be ready to be a major part of the global clean energy economy yet, if ever. This page will likely change as some technologies mature, some are discounted, and others are brought up. For now, we will be focusing on tidal and wave power, large scale geothermal, biomass, and clean coal. You may notice hydropower missing from this section and the rest of the website, click on the FAQ section to find out why. Tidal and Wave Power: Often used interchangably, tidal and wave power involves any number of different technologies that take advantage of movement of water in the ocean. 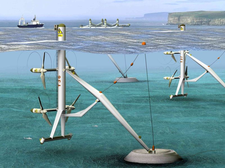 One type of technology involves putting a floating device in the ocean and capturing the energy from its movements. 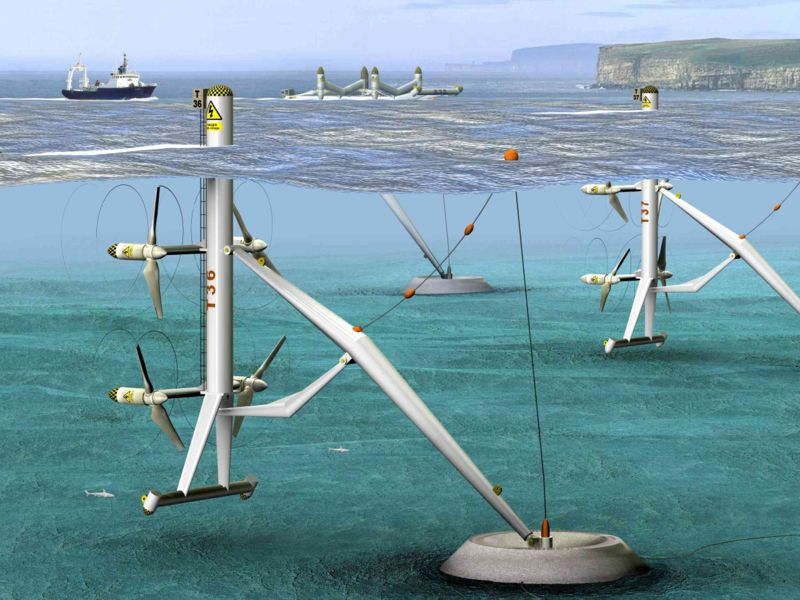 Another is more like a wind turbine under the ocean. Ocean current power systems rely on turbines in the water that spin as water moves by, much in the same way wind turbines turn in the blowing breeze. Geothermal:	Geothermal can be on a home scale, which is covered in the Your Thermostat section, or on a utility scale. The large scale geothermal systems involve using heat from within the Earth's crust to heat steam and turn a turbine. Biomass: We've been doing this for thousands and thousands of years. Biomass involves burning any sort of organic matter, either directly or as a liquid fuel. It releases CO2 into the atmosphere, but it is CO2 that is a part of our normal, terrestrial carbon cycle. Clean Coal: Seen by many as a panacea for the issue of Climate Change, it in theory involves burning coal (or any other fossil fuel), capturing all of the CO2 produced, and storing it in a way that it doesn't get into the atmosphere. It's an alright idea, but it must capture 100% of the CO2 emitted and we're not at a point where that goal is within reach. Plus, even if that goal were met, it still involves constantly mining a resource, which raises its own health and environmental issues.